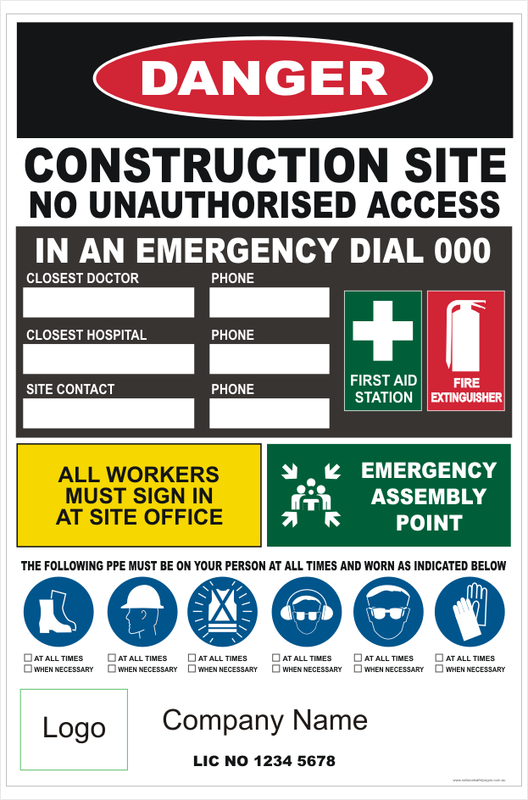 A Construction Site Combination Sign designed for Building Site and construction sites. Firstly, this construction site sign allows selection of mandatory instructions. Furthermore, the Sign has blank panels for your information insertion. Finally, we will add your company name and logo in the sign footer. You can view all our Construction signs here: ( click here ) Read more information about construction sites here: ( click here ). 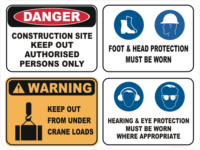 this is the Safe Work Australia site. Because this Construction site sign only comes in one size, seems like a good idea to order the signs in 5mm corflute. Hence, corflute (or fluteboard) is quick and easy to attach to a perimeter fence. Likewise, polypropylene is light and easy to attach. Probably the best Combination site sign is Aluminium. 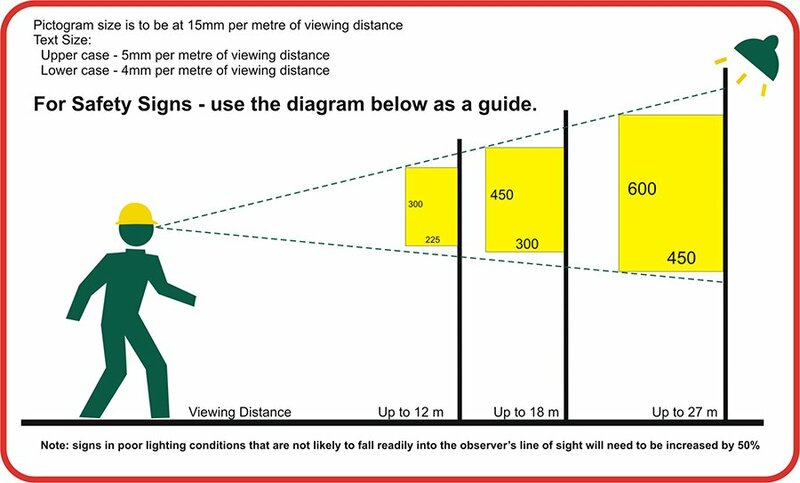 even more important for the permanent aluminium sign, is to select overlaminate. Selecting laminate allows for the sign to be cleaned off with a solvent and used again.